I wrote a while back already a post about the online Image to Text (ASCII) converter tool at Photo2Text.com. I tweaked the source photo of him to get better results and saved them on my hard drive and then forgot about them until now. I stumbled across them by accident and thought that I should not hide them, or at least make them accessible for Jason himself. I took the results from the converter and tweaked them a bit more in Photoshop, adding some color and stuff like that. You can see below the stages of my changes. Click on the thumbnail images for the larger original sized version of it. 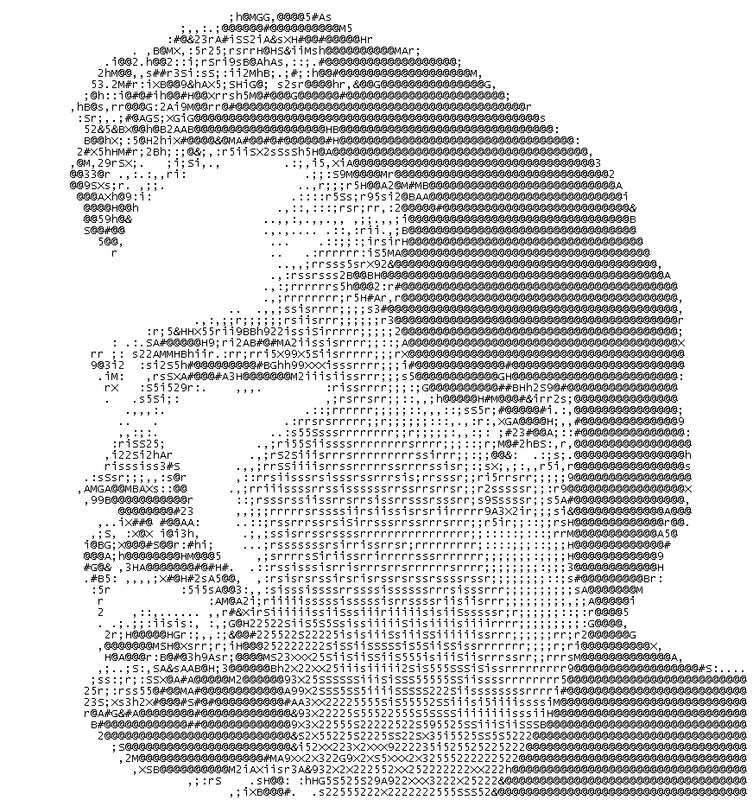 Original 7-Bit ASCII as Image.?? 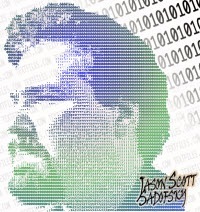 This is the final piece and I hope that Jason (and you too) will like it. 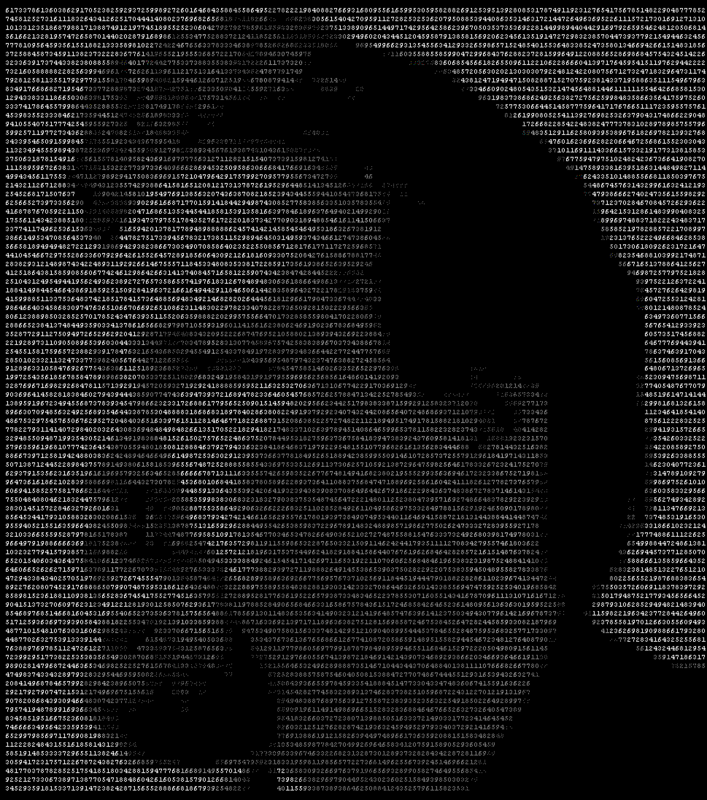 I also created an ANSI version of the photograph with the tool. It is only using the number characters 0-9, but a very small font. The result is good, but it looks to little like an ASCII to me, because of the font size. This ANSI was actually created as a HTML document. You can see the original HTML/Text version here. If you are interested in the subject of image to ASCII art conversion, I also suggest to check out my post where I reviewed a number of online and desktop image to text converter tools. I also wrote a post about video to text conversion via the vlan video player with special conversion plug-in. 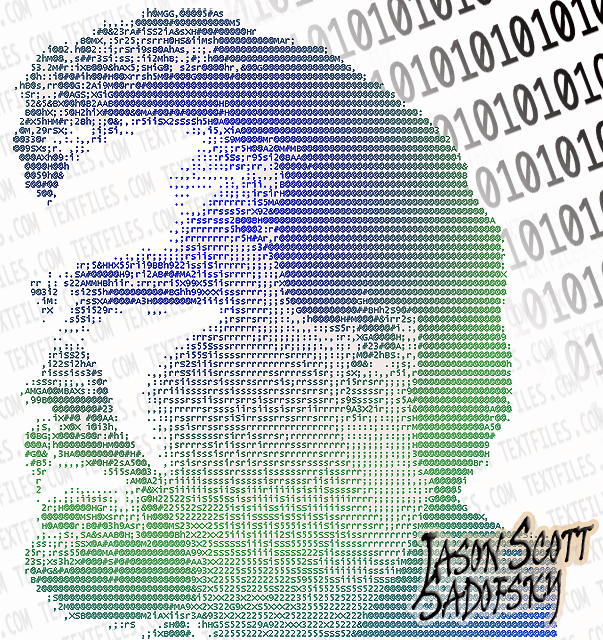 If the subject of ASCII and ANSI text art is new to you and you would like to learn more about this old school art form that actually pre-dates the computer, check out my ASCII Art Academy for more resources and information. Semi-related: Did you see my post about ASCII/RTTY art nudes versus their original Centerfold Photographs? I still need help with matching up more of the ASCIIs with their source photographs. You can help.